On Tuesday, February 5, 2019 at the age of 79, Gottlieb, with his family at his side, quietly left this world to be with the Lord. 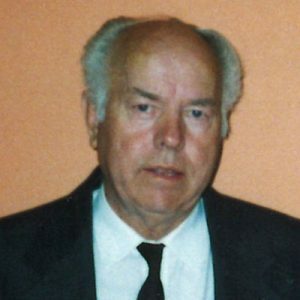 He is survived by his loving family: sons Robert (Mary) and Arnold (Olga); grandchildren Mathias (Kirstin), Alanah (Brodie) Neri Krantz, Justine (Ivan) Zvada and Adam; great-grandchildren Kyla, Dominic, Samuel and Adelynn; sisters Martha Luck, Frieda (Manfred) Grossmueller, Lilli (Ray) Liebau and Sabine (Michael) Anderson; sisters-in-law Ellie Lehmann, Helen Lehmann and Marcy Lehmann; and numerous nieces and nephews. Gottlieb is predeceased by his wife Margarete in 2011 and brothers Arthur, Erwin, Daniel, Wilhelm and Paul. Can never more be filled. His soul is safe in Heaven. Burial will be held on Saturday, February 9, 2019 at 10:00 am at Kelowna Memorial Park Cemetery, Memorial Service will follow at 11:00 am. The service for LEHMANN, Gottlieb is scheduled for Burial will be held on Saturday, February 9, 2019 at 10:00 am at Kelowna Memorial Park Cemetery, Memorial Service will follow at 11:00 am. . Below you will find the map for the service location and the contact information should you have any questions. Although, at such a sad time as this, there is little one can do, I hope it helps in some small way to know y thoughts are with you all. My Deepest Sympathy. God bless!